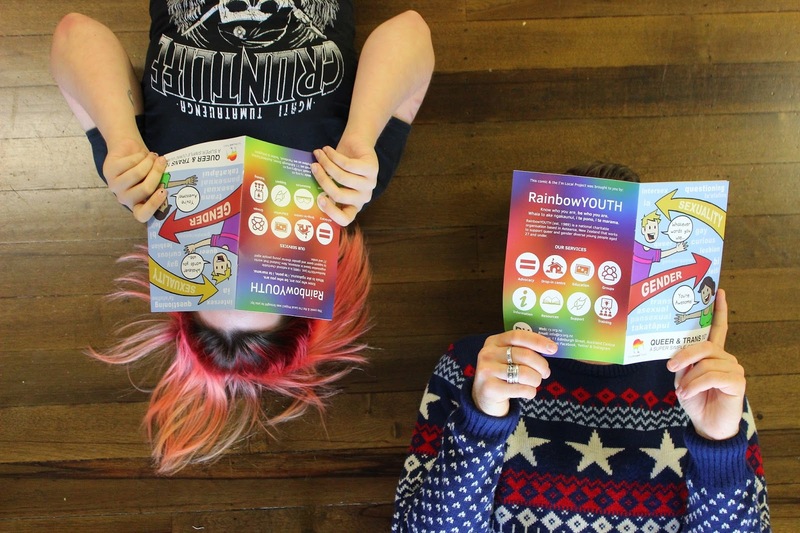 From humble but enthusiastic beginnings, RainbowYOUTH has grown to become one of the most successful youth organisations in New Zealand. Ref: RainbowYOUTH, RainbowYOUTH Collection, West Auckland Research Centre, Auckland Libraries. In 2017 an exhibition was created from the Auckland Libraries RainbowYOUTH archive collection, which consists of seven recorded oral histories, images and ephemera sharing the origin and development of the 28 year young organisation, and the stories of those involved from the very first small Auckland gay and lesbian group to the highly successful present day queer youth community support network. The RainbowYOUTH Exhibition is on now at Leys Institute Library, Ponsonby, until June 3. Ref: RainbowYOUTH exhibition, Board 6. Each oral history interview explores the coming out, identity, passion for helping others and the dedication of each person to the support of LGBTIQ youth, ensuring they have a network to call upon and lean on when they need it most. Ref: Ephemera, Auckland Lesbian and Gay Youth logo, RainbowYOUTH collection, West Auckland Research Centre, Auckland Libraries. 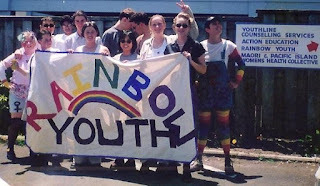 In 1989, the idea for RainbowYOUTH was suggested during a gay and lesbian conference held in Auckland. Two weeks later, RainbowYOUTH, known then as Auckland Lesbian and Gay Youth (ALGY), had their first meeting. The idea behind ALGY was to create a group for young gay and lesbian Aucklanders that was safe and inclusive. Ref: Tamati Coffey, 2009, RainbowYOUTH collection, West Auckland Research Centre, Auckland Libraries. 2009 saw RainbowYOUTH get a major boost in fundraising when Tamati Coffey picked Rainbow Youth as his chosen charity for Dancing with the stars. Coffey went on to win the competition and his winnings helped to move RainbowYOUTH towards becoming a national organisation. Ref: Pink hair booklet, RainbowYOUTH collection, West Auckland Research Centre, Auckland Libraries. 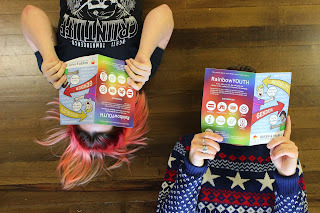 RainbowYOUTH employs several staff members, as well as a team of casual educators. They deliver their education projects to over 2,000 students a year and have recently launched their new national education resource called Inside Out. They have a large social media presence, while still maintaining their face-to-face services in the form of a drop-in centre and peer-support groups. 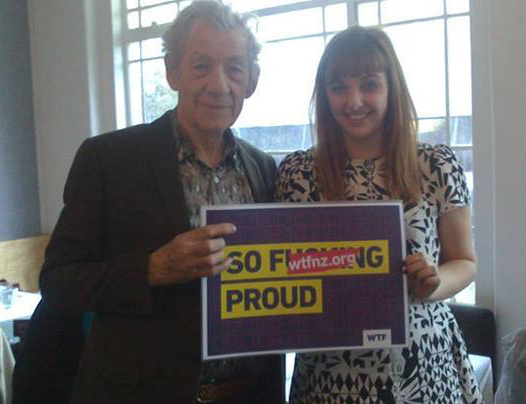 Ref: Sir Ian McKellen, RainbowYOUTH collection, West Auckland Research Centre, Auckland Libraries.